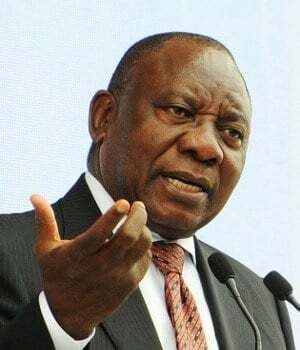 How sincere do you think is President Cyril Ramaphosa? Johannesburg - South Africa’s economy is under new management, and Investec’s Chris Freund is among equities investors who are expecting growth to surprise to the upside. President Cyril Ramaphosa, in office since February, is spurring optimism among stock traders who are already noting changes in the market. The new leader has set a goal of attracting R1.2trn investment, overhauled his cabinet and installed new boards at troubled state-owned companies. “People are going to be surprised how South African growth rates are revised upwards,” Freund, the Cape Town-based South African multi-asset head for Investec Asset Management, which oversees about $140bn for clients globally, said in an interview. Business confidence is recovering and political risk has fallen since Ramaphosa replaced Jacob Zuma as president, with private investment and household consumption heading higher. On top of that, valuations are attractive: stocks traded on the Johannesburg exchange are at their cheapest since February 2010 on a price-to-earnings basis, Morgan Stanley said. The improving confidence and economic outlook are conditions Freund is looking to make the most of for the R23bn Discovery Invest Balanced Fund, the flagship mutual fund he helps manage for Discovery Invest, a division of Discovery [JSE:DSY]. “We think that equity markets around the world are mildly expensive, but the more important thing is that the growth cycle is still with us, and so it’s time to try and make clients’ money,” Freund said. South African stocks make up 45% of the Balanced Fund, with Naspers [JSE:NPN] its biggest holding at 3.5%. The fund has returned 9.2% in the past year, better than the 5.9% achieved by its peers, data compiled by Bloomberg show. While the share has dropped 14% this year, “Naspers we’re always going to like. We think Tencent is an astonishingly good company,” he said, referring to its 31.2% stake in Tencent.